Information management and distribution company, NPC, needed a stronger engagement tool that better positioned NPC as a holistic solutions provider and strategic partner–helping the company grow and transform as new market needs arise. 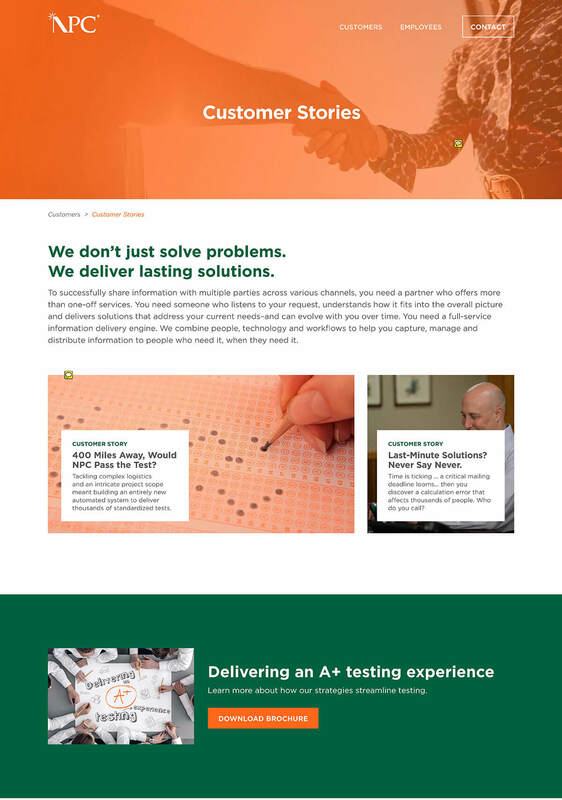 The new B2B website design communicates the brand promise throughout the website: Listening. Understanding. Delivering. The end result better resonates with 3 key audiences: Customers, Partners/Vendors and Talent.